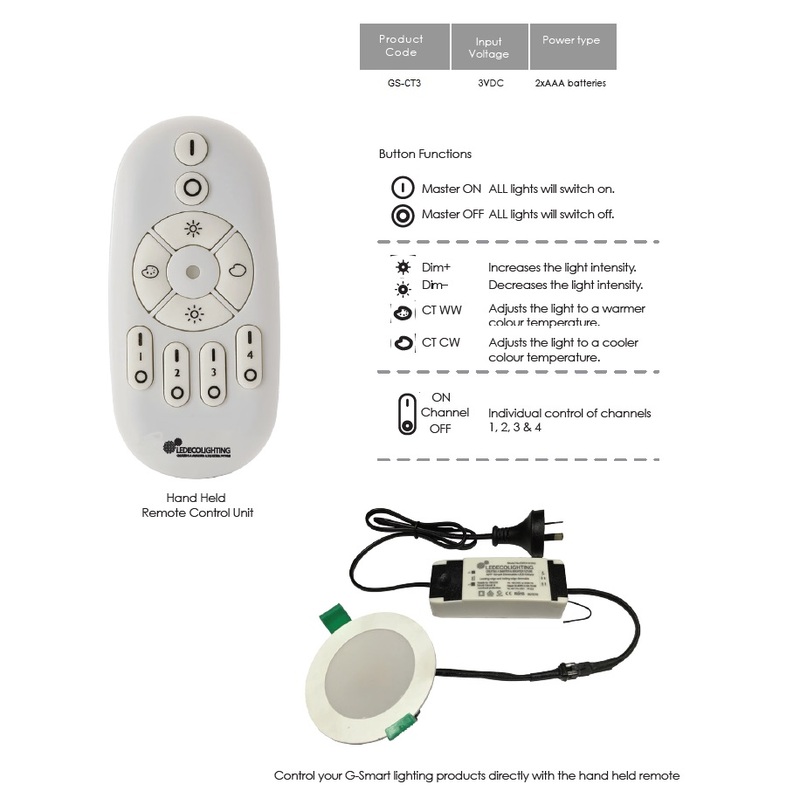 The simple hand held remote control connects directly to the G-Smart lighting products via a simple learn in process and eliminates the need for a gateway and G-Smart App. It can be used in conjunction with the gateway and G-Smart App as an additional way for controlling your lights. The controller features allow you to have four individual switching channels and a master on/of. It also allows you to change colour temperature and dim the lights to creating beautiful moods and ambiance to suit your personal taste.